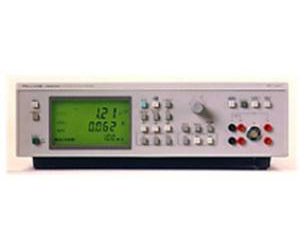 The PM 6306 is the most versatile RCL meter, allowing testing at any frequency up to 1 MHz. AC and DC test voltages are continuously adjustable, and the PM 6306 has a built-in contact check function to ensure optimum connection. With these capabilities, you can handle a wide variety of components under realistic test conditions.